With this new construction home in Melbourne FL we used cabinets from Marsh Furniture. Marsh provides the highest quality all wood cabinets for your new construction or kitchen remodel jobs. These cabinets are all maple wood from their Arlington line in a very modern Graphite color. This dark grey color goes very well with many flooring and tile colors giving you many options. This cabinet color really gives the kitchen cabinets a modern look, but classic feel. The bead board backing we used on the kitchen island brings in that classic feel. The perfect balance of modern and classic styles make up this kitchen. The kitchen stove is topped with a great hood from Stanisci hoods. Stanisci makes fantastic all wood kitchen hoods. 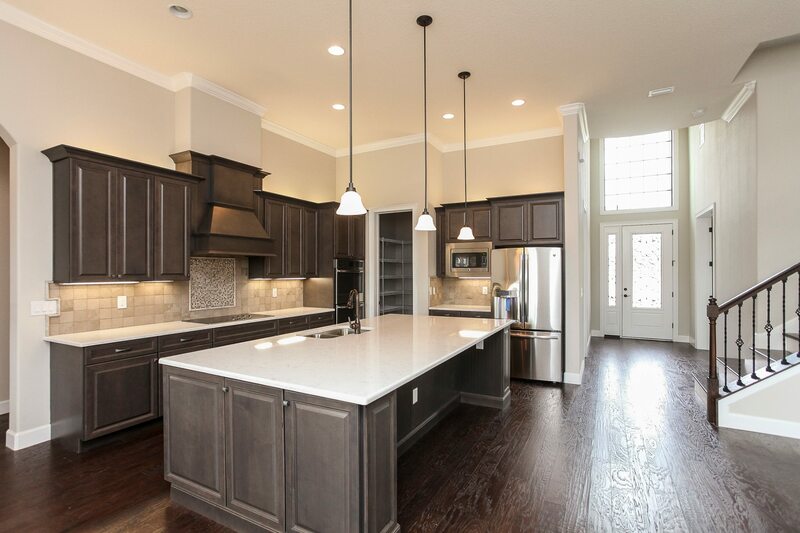 The kitchen hood is color matched in the Graphite color to blend seamlessly with the wood cabinets. 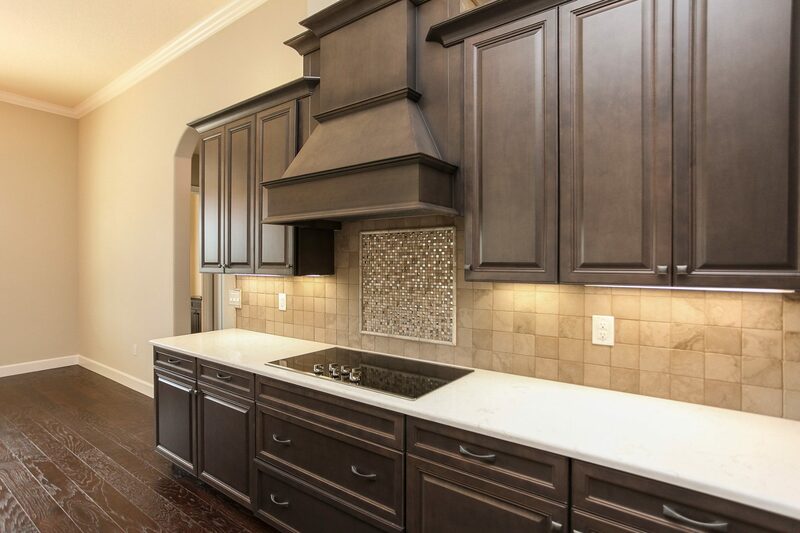 This luxurious hood is the center piece drawing your eye to the exquisite cabinets, tile backsplash, and countertops. 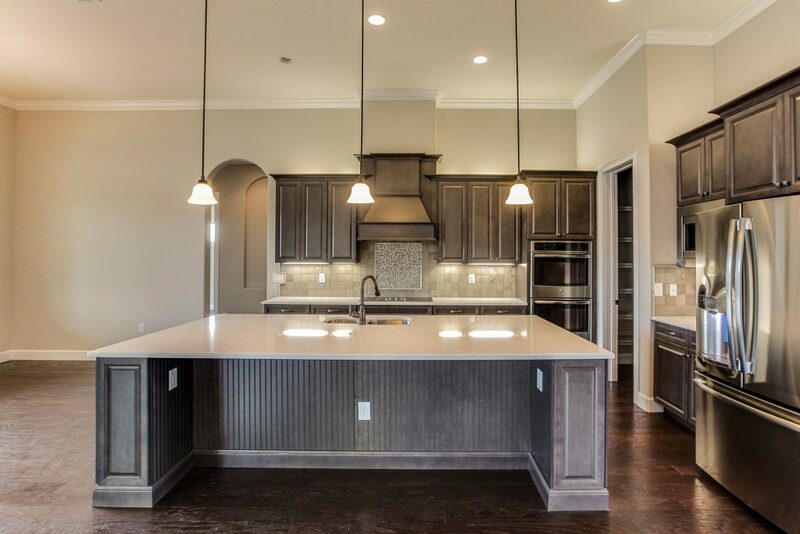 All of this is topped with large Cove crown moulding that gives the entire kitchen a detail that stands out from the rest. The kitchen countertops are from Cambria Countertops. This kitchen countertop is made of fine quartz in their Torquay color. Cambria quartz countertops are excpetional for kitchens and much better than Granite or Marble because of its strength and durability, easy maintenance, and nonporous nature. Quartz countertops are much stronger than other stone countertops like granite and marble. It’s much less likely to scratch or chip, as well as stain. Keeping a quartz countertop clean is as easy as just wiping it down with some warm water and mild soap, unlike other stone countertops that need constant polishing and cleaning. Quartz countertops provide a naturally healthy kitchen becasuse of it’s nonporous nature that prevents moisture and bacteria from raw foods from being trapped on your countertop. We highly recommend quartz countertops for all new construction and kitchen remodel jobs. 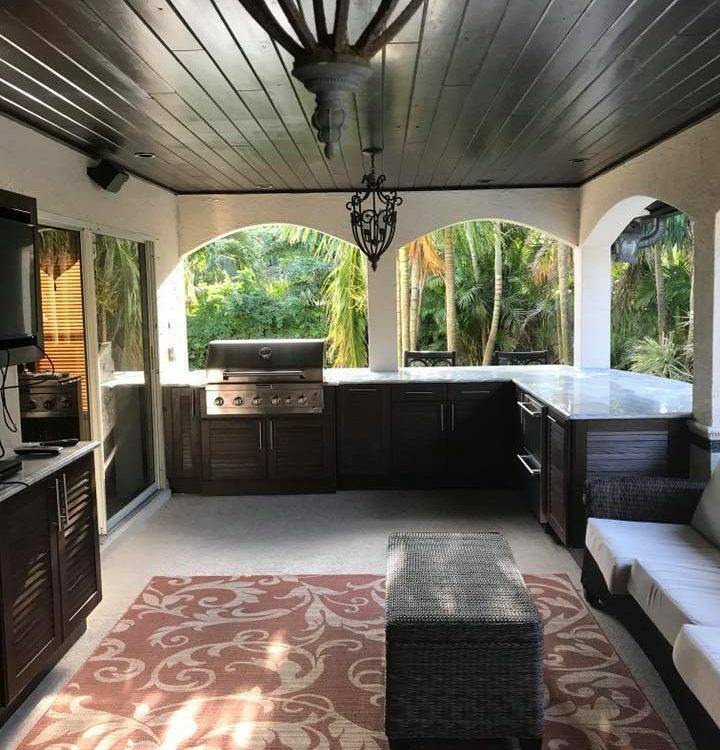 If you are looking to remodel your kitchen or bathroom and want the best quality cabinets and countertops in Brevard County please give us a call at 321-802-4645 or send us an email. Come by our state of the art Cabinet Showroom right here in Melbourne FL. In our showroom we have examples of the best cabinet and countertop options for your new kitchen or bathroom remodel. Kitchen cabinets and kitchen countertops is our specialty. 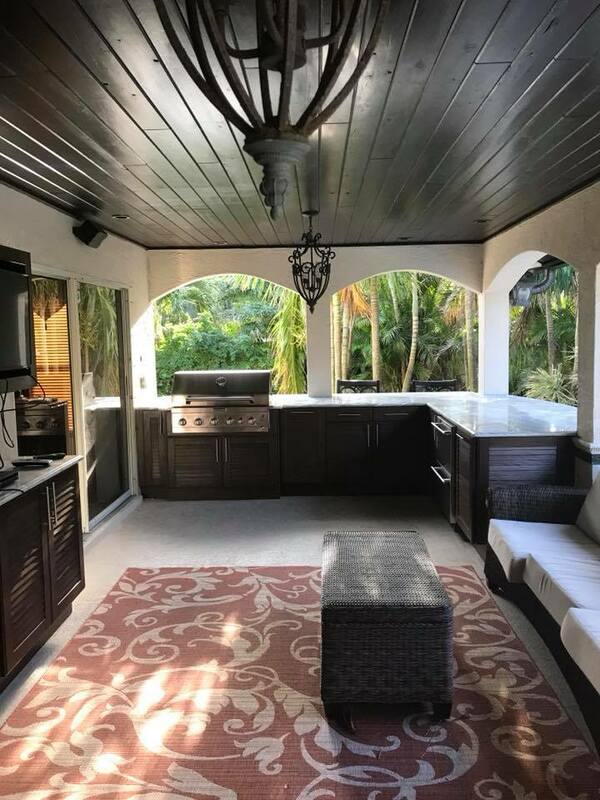 We provide the best products with fast and professional kitchen cabinet installation and kitchen countertop installation right here in Melbourne FL. We serve Brevard and Indian River County with the best kitchen cabinet and countertop sales, service, and installation.